I used the mallard flank as a "tail" for the nymphs. I cut off a small tuft and tied it off in line with the barb of the hook. Now, here's the report: I fished the Cocheco yesterday for a couple hours. The weather was great, the bugs were hatching, the fish? Not biting. Water was high, cold, and muddy and fishing is usually incredibly difficult in these conditions. 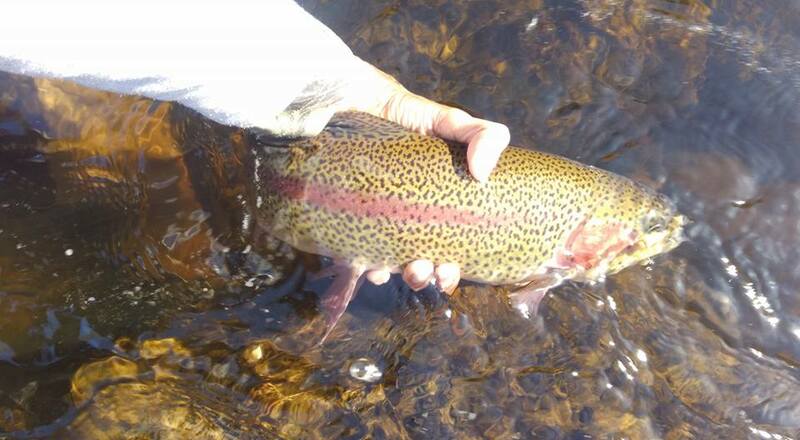 The key is to fish low and slow with nymphs or highly articulated, oversized streamers (again, fished slow). The fish only bite at certain times of the day, usually when the sun is at it's highest point. Better days are ahead of us but unfortunately, not for another week or two. We are supposed to be (and are currently getting) hammered by rain. That and the increased runoff will make fishing difficult and wading dangerous. If you go out, be very careful​ and stick so the shore. Lamprey is flowing at 1120 cfs and Cocheco is 582 cfs. Cheers!